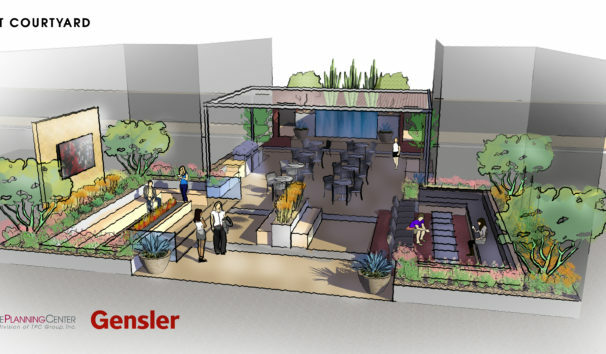 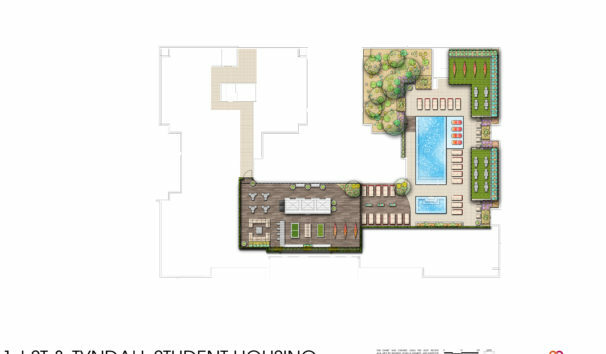 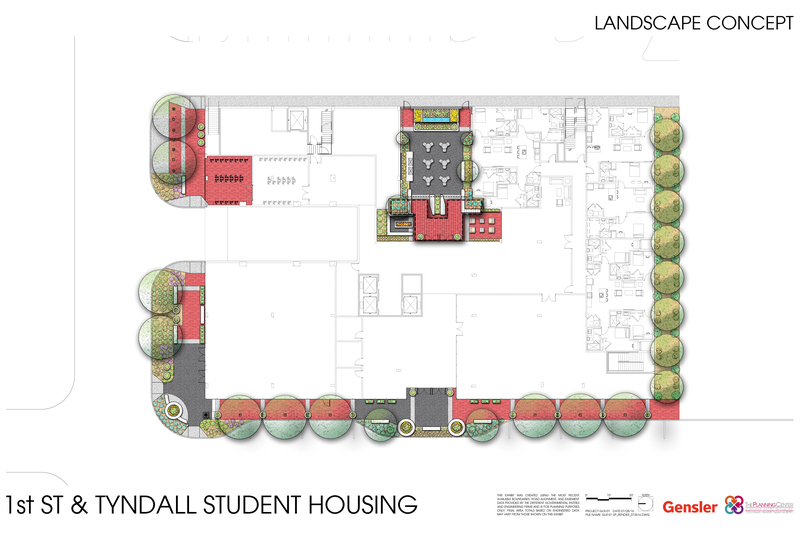 The Planning Center has teamed with the Houston office of Gensler Architects to collaborate on a luxury mid-rise apartment building for students at the University of Arizona. 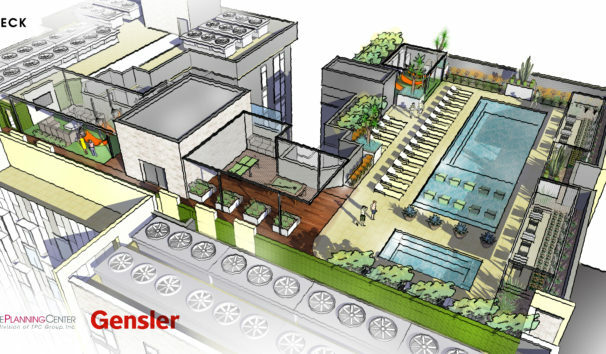 This 12 story, 502 bed student housing project features an engaging urban streetscape, amenity courtyard (raised over parking garage), and recreational roof deck. 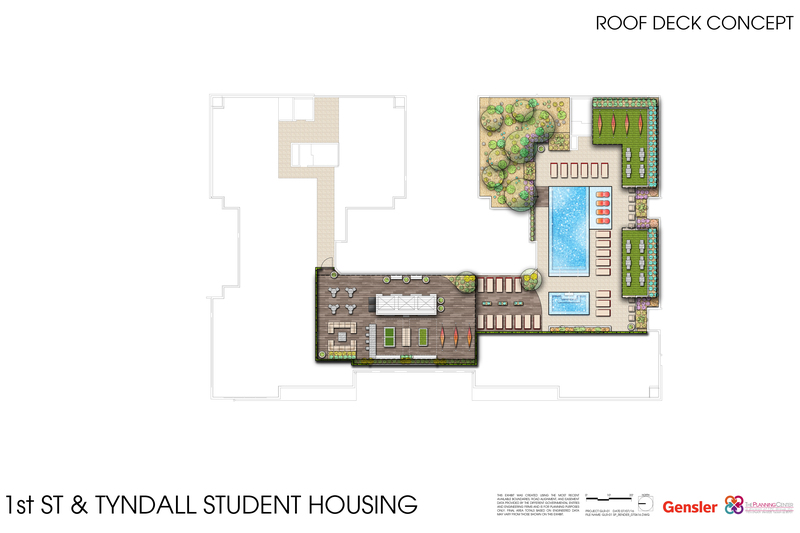 Notable landscape amenities include: decorative hardscape, prefab concrete planters/benches, custom water feature (water wall), roof top pool and hot tub, outdoor shower, roof top planters, fire pits, outdoor kitchen, decorative screen wall with integrated lighting, and outdoor dining and lounging areas. 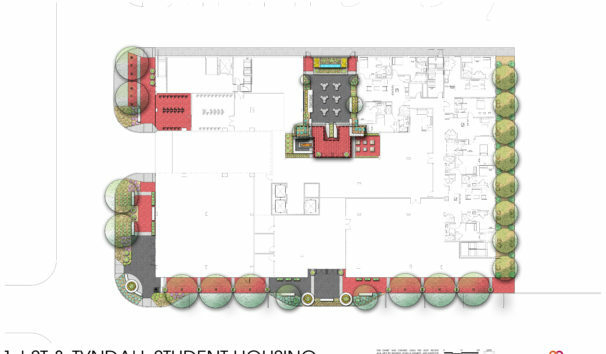 Due to the project’s location within Tucson’s Main Gate Overlay District, The Planning Center has gained valuable experience preparing drawings and materials boards for the Main Gate Design Review Committee.